When I got the Leica M9, the Leica Summilux 50mm was nowhere to found. So, at the time, I 'settled' for the Carl Zeiss (CZ) C Sonnar 1.5/50mm ZM lens instead, and entered the world of the Leica waiting-list. A couple of weeks back I got the call that the latest version of the Summilux was available, and so I bought it. Up till now, I have both the Leica and the CZ 50mm version. The CZ version hasn't been used since (and has been put up for sale this weekend). The following samples first show the entire (smaller) image. You can click the image to see the full size JPEG (clean export from Adobe Lightroom with default settings). After that, there's a 100% (left-top-ccorner) crop and a 100% center crop. Posted on February 26, 2012 by Willem and filed under Carl Zeiss, Leica M9, Photography, Review and tagged 50mm CZ Carl Zeiss Leica M9 Summilux comparison. No matter how extensive your research is, there's always something (bad??) you miss. In this case it's focus-shift with fast lenses. Focus-shift means that the actual focuspoint is not exactly where you might think (also known as front- or backfocus). In the case of the Zeiss C-Sonnar 1.5/50mm it occurs generally @f/1.5 or @f/2.8. My Zeiss 50mm has this 'problem' @ f/1.5, which means that the lens is calibrated for film. Problem is a big word, since it seems to be inherent to the C-Sonnar design. It's also something that occurs a lot with a rangefinder system. To solve this, I need to focus on the ears instead on the eyes when I shoot a portrait, or just compensate bij moving a bit forward after focussing. I could have Zeiss recalibrate the lens for free (while still in warrenty), but that means shifting the problem to another aperture. If it turns out to be a real problem, I could always go for a Leica M Summicron 2/50mm (which I have still on backorder along with the Leica M Summicron 2/35). 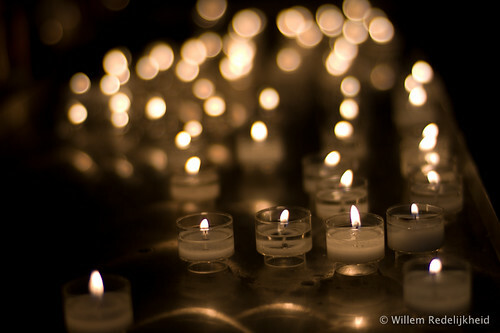 Posted on July 5, 2011 by Willem and filed under Carl Zeiss, Leica M9, Photography, Review and tagged focus-shift. After experimenting with the Leica at home we went away for a weekend. A nice opportunity to practice a bit more with the M9. Looks like I have a problem focussing with the M9. Every single time I turn the focus ring in the wrong direction. Some investigation showed that the focus is flipped compared to the Nikon lenses. The CZ lenses turn clockwise to go from nearby to infinite, while the Nikon lenses do this going counter-clockwise. Downside to this focussing issue is that my focussing is relatively slow. Not a problem with relative static scenes, but with "moving targets" it's kinda annoying / challenging. Another thing I need to get used to is the light-metering of the M9. There's only one way the camera meters the light. No matrix-metering or any of that fancy stuff. Metering is done in the area around the focus area as seen through the viewfinder (center-weighted). The exposure can be locked (if you need to reframe the image) by half-pressing the shutter (similar to a (d)SLR). After walking around for several hours you(r neck) really start to appreciate the weight of the M9. It's really light (compared to a Nikon D300 with a Nikkor 17-55mm f/2.8). Posted on July 3, 2011 by Willem and filed under Carl Zeiss, Leica M9, Photography, Review. Holding the M9 in the landscape / normal 'mode', and trying to focus on e.g. horizontal bars is hard. This has to do with the focussing mechanism of the M9. In those cases you need to rotate the M9 90 degrees to the portrait 'mode'. Doing this should make it a whole lot easier to get the horizontal bars in focus. The M9 has a tripod mount point (screw) at the base, but since I have an Arca-Style bullhead this is not that handy. Fortunately, I still had a Wimberly Arca-style camera plate (P-5 Camera body plate) which fits just perfectly under the M9. 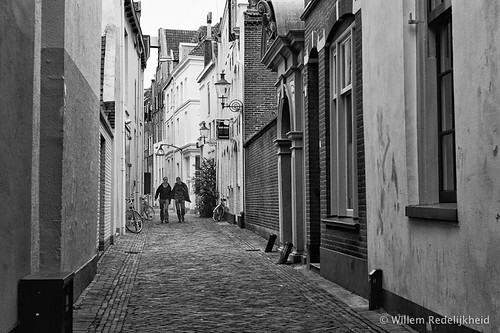 Posted on June 30, 2011 by Willem and filed under Leica M9, Photography, Review. The experience of not being able to start using the new gear was new to me, but then again; I could have charged the batteries as soon as I got home…. which I didn't. Anyway, time to start using this Leica M9 Rangefinder camera. incomplete / inaccurate EXIF information since the f-stop of the lens is being 'guessed' by the camera. So, using a Leica M9 is basically stepping back into the stone ages of photography… for most of us. Using the viewfinder needs some getting used to (understatement). The illuminated frame-lines, and other information in the viewfinder is strange. Especially, when you're used to a dSLR. But practice makes perfect, and in this case; practice is mainly getting used to the M9 interface. Some in-house (test)shooting with the M9 showed that focussing is not that hard, but that an aperture of f/1.5 required some serious steady hands. Before you know it the focus plain has shifted a couple of centimeters. Normally not an issue but with a depth-of-field of several millimeters……. It's a whole different ballgame. The following photo was taken with an aperture of f/1.5. 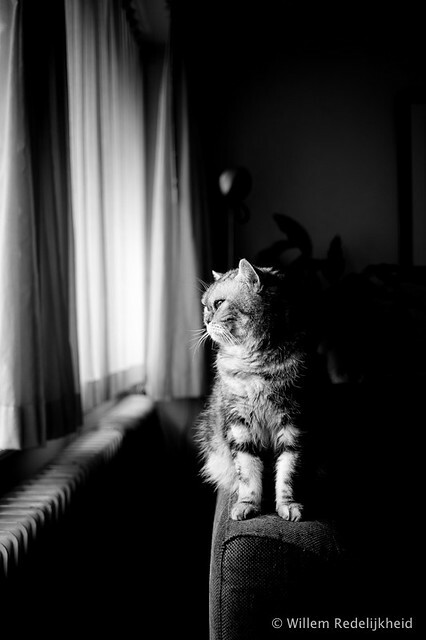 Posted on June 29, 2011 by Willem and filed under Leica M9, Photography, Review.